A little pixie was playing in the garden,and this little one was rocking gently in the wind. 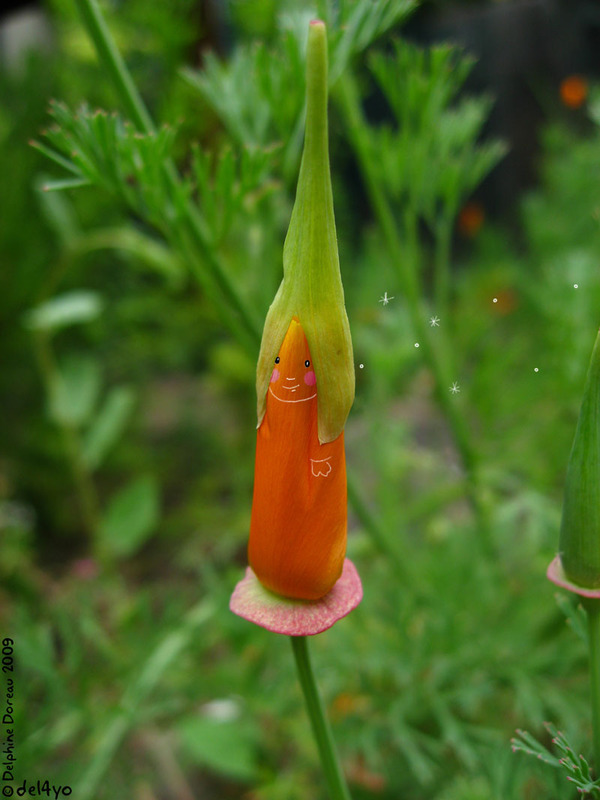 Eschscholzia californica : j'ai planté des lutins dans le jardin. Tip top.